This is a sponsored post. The diversity of options for leisure and the wide range of affordable occupations lets you discover your hidden talents more easily and understand your opportunities. Maybe, this is the reason why so many creative people have become famous lately. One of the most interesting phenomena is blogging. If you had an idea to start a blog at list once, you should try it. Ideas don’t come from nowhere – they are our desires or skills we can develop. But there are much more reasons to start your own blog. ● It is a place to express your mind and reflect over anything you want. ● Unlike journalists, bloggers have more opportunities for self-expression, for they are independent. While journalists may be forced to stick to some rules set by a company they work for, while writers have to work hard on meeting deadlines, bloggers choose whom to work for, what to say and how often to do it. 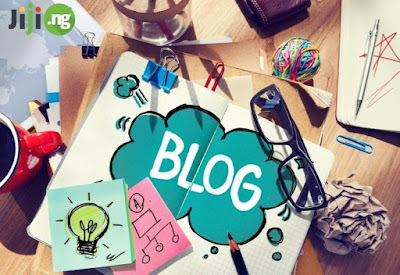 ● Blogging can become a job. You will find out that your voice matters, and there are a lot of people with similar interests, looking forward to reading or watching your new materials. There is no formula telling you how to become successful, but there are some basic rules for a good start. ● Write only about things you know and are interested in. ● Communicate with your audience. Interaction is very important. ● Be ready to receive a negative feedback. As many people as many tastes – you don’t have to please everyone. ● Find some time to respond to reader’s comments. ● Develop. It doesn’t matter how successful you become and how fast it happens. There are a lot of people ready to compete with you, so don’t neglect mastering your skills. ● Stay in trend. No one can force you to like mainstream, things, but if you are aware of what is going on around, you’ll be able to communicate with followers much easier and your audience with increase.